Preview and Buy Wellness Meditation Coloring Pages printable 15 page pdf to Support this and other Charitable Art Projects at the studio. 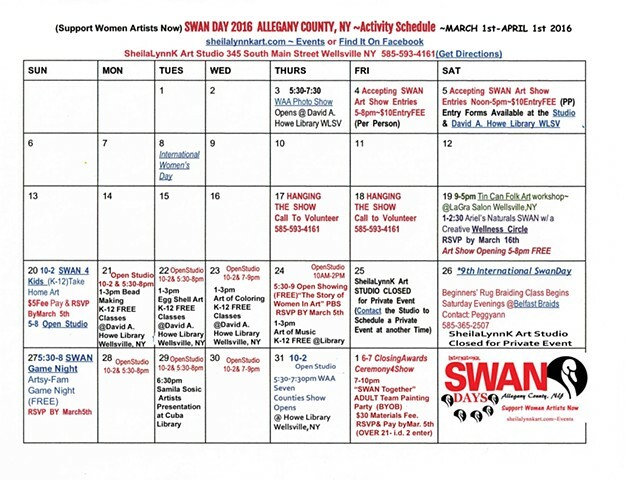 SWAN Day Allegany County NY is being held in honor of the many creative local women working hard to bring the arts to our rural community. Thank You so Much for All That You Do! 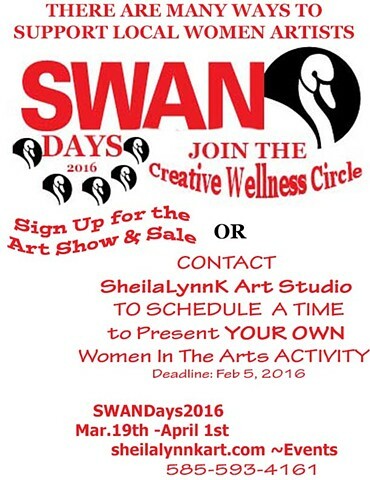 Karen Tanner-Dickerson, Joanne Allen, Kathryn Garrison, Kristen A. Kruger, Wendy Skinner, Staci Curry, Allison Midgley, Elaine Hardman, and so many more women (and the MEN who are not afraid to SWAN) participating in the Allegany Arts Association, The Wellsville Art Association, The Belfast Organization for Artists, The Cattaraugus County Arts Council, and The Allegany Artisans. Although this special event is dedicated to Women Artists; our region is abundant with talented male artists who join them in this mission...like Bob Chaffee, Stephen Walker, Pete Midgley, David Dean...there just isn't room to list/tag everyone here but, WE know who you are. THANK YOU, THANK YOU!! !